Hi all, and welcome back to the third installment of the Sew at Home Mummy "Beautify your Blog" series! This week we'll be going over some simple ways to create a pretty blog header. Each of these lessons build on the previous week's. In the first lesson I suggested you create a test blog - at the end of the series we'll copy the template you have built and created over to your 'real' blog. 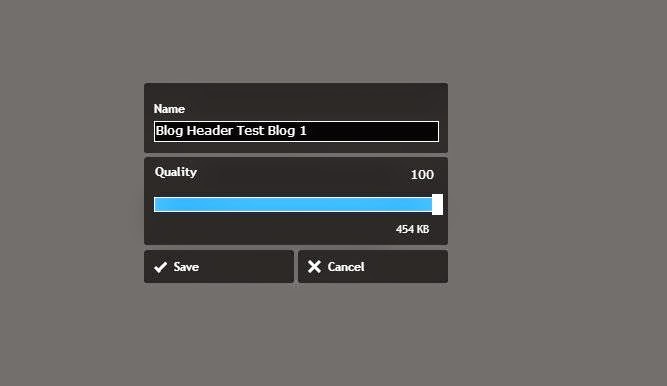 This week we'll be looking at making custom blog headers. A blog header is the title image at the top of a blog. I thought I'd cruise the quilty bloggosphere to find some really pretty inspiration among our peers. Size. The header should be nice and long, to the edges of your posting space (or thereabouts). 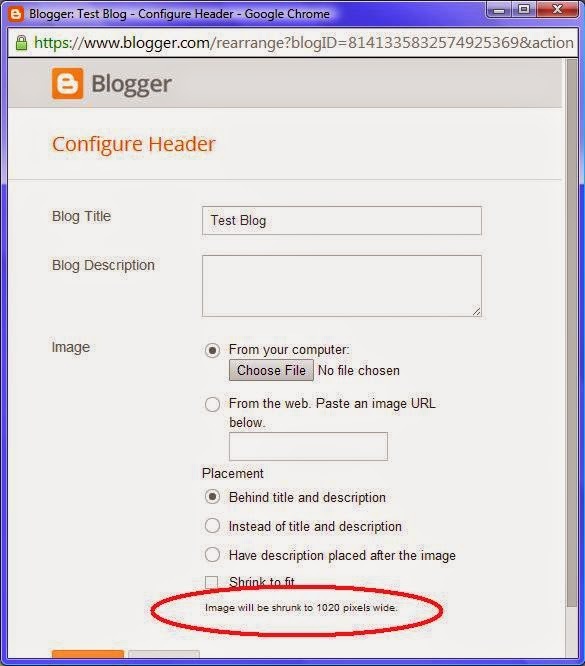 If you adjusted your blog width in Week 1 to about 1200px wide, your header size will probably be around 1000px wide. Note in all of the examples below the headers are long and narrow; in general, you're going to want to keep the height of the header to about 1/3 or even 1/4 the length in order to avoid it impeding on your posting space. So, if the width is 1000px, your height should be around 300px or so. I'll show you how to size your images optimally below. Color. Remember last week we went over color schemes, and I said to remember the acronym K.I.S.S. : Keep It Simple, Sewist! Try to stick to 2-3 dominant colors in your header at most. Font. Font = text type. Pick a commonly occurring color in your header images for your font (text) or, go with a color which matches the background you chose. Something that makes 'sense'. Pick a font which is easy to read, but, this is where you can add a bit of personality. You want to avoid using 'fancy' fonts in your posts and post titles, but, with your header, you can definitely get creative. Fancy fonts in your posts are difficult to read and take longer to load on the webpage. Stick to a maximum of two fonts in your header. A close-up of one of M-R's quilts and a simple title head her blog. Notice her simple background, and dark purple color scheme. Notice: long and skinny header. Amy's gorgeous collage of quilty goodness is really eye-catching. image courtesy of Pretty Bobbins. Gemma goes with a simple collage of work, with a pretty blue title. Rachel goes for a simple look here with a gorgeous shot of one of her quilts and a custom font title. Megan goes for really simple, but very stunning. single font - and I would consider this two colors - grey and rainbow. It works because the header is so simple - no graphics to compete with. I'm going to show you two ways to make a custom header today. 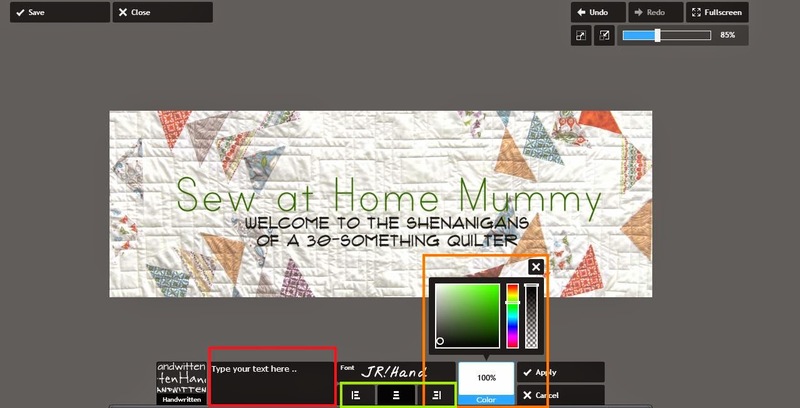 If you have a photo of a quilt or an image you'd like to use as a background for your header, here's how to do it. "Image will be shrunk to _____ px wide"
Take note of this number - we'll need it later. 1.4. Now, we need to crop and resize our image we'll use for our header background. Since any picture you will have taken of one of your quilts won't be in the correct proportions, we'll need to both re-size and crop your pic. 1.5. On Pixlr's website, select "Browse". Select your image to upload. Now we need to crop it. 1.6. Select the "Adjustment" tab. Select "Crop". Now. We need to crop the image to be about 1/3 (one-third) the height for the width. So long and narrow. Now we need to resize the image. Circled in orange above are the parameters we are going to need to change. Note the width number - mine says 1600px - I need to change this number to the number we determined in Step 3. For me, that was 1020px. Note that when you change the width, the height automatically changes because the "Keep proportions" tab is selected. My height automatically changes to 351. Remember how I said we wanted the image about 300px tall? So I'm happy with this. I'm going to go with this - but if your pic was 250px+, that would be okay too! Once you're happy, click "Apply". If your height is still too big, go back and re-crop your image, or, adjust the height manually by de-selecting the "Keep proportions" tab (but be wary here - it'll distort your image doing it this way). 1.8. Once you're happy with the size of your image, you can play with the editing functions in Pixlr. For me, I'm going to lighten this image up a bit. 1.9. Now let's add some text. Select the Type button, and pop-ups of different type choices pop up. 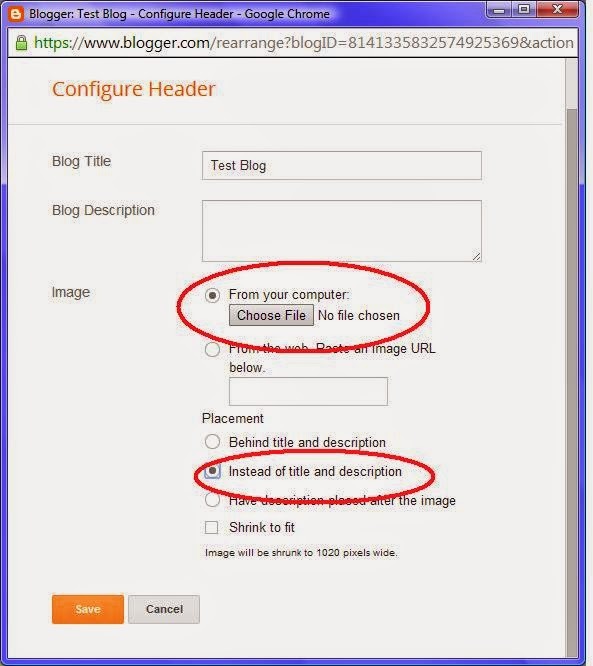 Choose the style you'd like to go with; type your blog title in the text box (circled in red below). Use the little white dots on the pop-up to change the size of your font, and grab the box frame your text is in to float it around. If you want two different fonts in the image, repeat this process twice. 2.1. 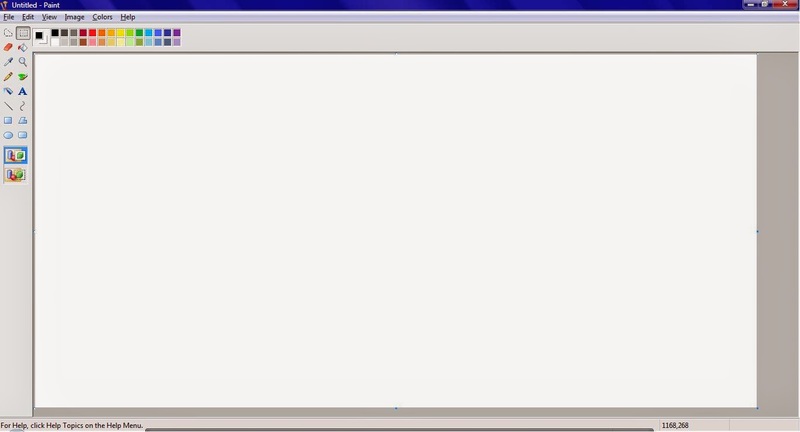 In Windows, open Paint program. See these little blue dots on the edges of your paintboard? 2.2. Head over to Pixlr.com/express. I changed the layout (circled red), spacing, roundess and proportions (circled orange) and the color (circled blue). Have fun with it, play with modifying multiple collage layouts, but keep it long and narrow. 2.3. Start adding images. 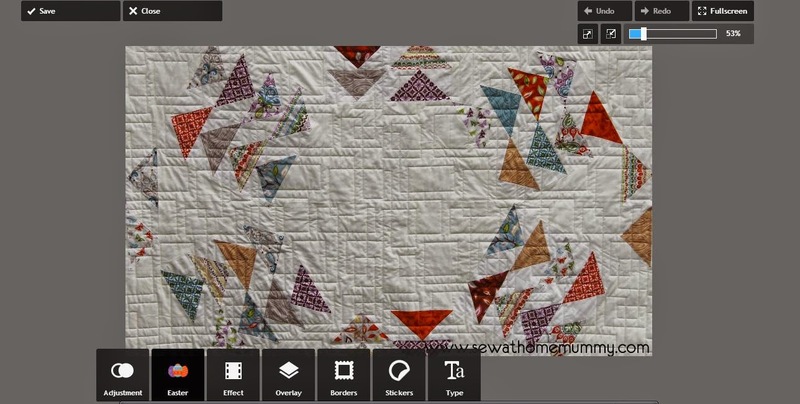 Hover on each of the collage pieces so that a '+' sign appears, click, and add your quilty goodness to the frames. To the top frame, I'm going to add that blank white image I created in Paint (this'll be where my blog title will sit). 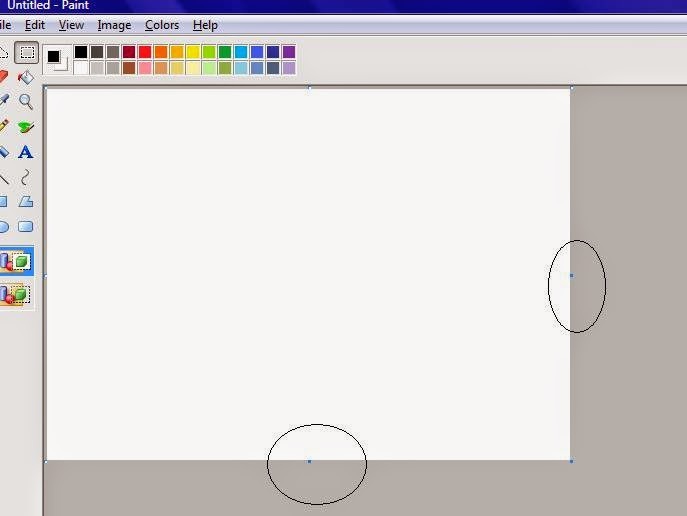 Select the paintbrush to edit your image, the arrows to rotate, and the 'x' to remove it. You can also grab and drag your images from space to space. To add my blog title to the image, I clicked on the paintbrush in the top frame and added text as we did above in step 1.9. Once you're happy with your collage, click "Finished". In the screen that follows, click "Adjustment", then "Resize", and follow the instructions laid out above in 1.7, resizing your image to the pre-determined required width. Click Save. Save image at maximum resolution. here, in Paint, I used the paint bucket tool to color the whole canvas black, then saved it as a .jpeg, then uploaded it as I would any other image. From your computer (and upload your saved header image). Part 2 of the header series will be a bit more advanced. I personally use Microsoft Publisher and Adobe Photoshop Elements to do much of my work - next week I'll be talking about using Publisher to create a header using digital scrapbooking elements. I apologize in advance if you don't own Publisher or the like - it can be done in Word with the help of PowerPoint, but that is beyond the scope of this tutorial. Today's tutorial should get you started though! Thank you for all this! I'm planning to try a redesign this summer! Girl....you are rockin this out! I am gonna redesign so this is helping me understand what makes a blog beautiful! I am so excited for this post! I played around a bit at work and cannot wait to get home and do this one! Thanks! Thank you for those tips Erin. I have struggled with the blog header. Its something I can play around with on my test blog, meanwhile my first header (which I made smaller for my test blog) is on my actual blog. Needs refining, but I have impressed myself! I don't do anything MS I am all Apple so this doesn't help me but it is very detailed for PC users. Thanks for the tips and encouragement. I'm on an iMac so I had to go off your grid this time but I am happy with the results. *happy dance* Got a new header on my test page! Loving it. Thanks so much! Thanks so much..really helped out!